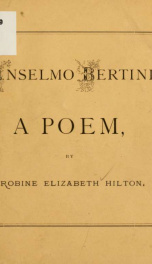 Read online "Anselmo Bertini : a poem" by Hilton, Arobine Elizabeth. [from old catalog]. Instant free e-book download at OnRead.com.